Unlike first-year composition courses, upper-division writing courses usually require students to engage in discipline specific writing. To engage in this type of writing, students at a mid-sized research institution in a course called Writing in the Health Professions evaluate Wikipedia articles related to healthcare and contribute to one of them. Writing for Wikipedia provides students with the opportunity to practice using plain language, write for an authentic audience, and engage in a non-traditional form of civic engagement. According to Dr. Amin Azzam, a health sciences associate clinical professor who teaches a course on writing for Wikipedia for U.C.S.F. School of Medicine, “If we want to get high-quality information to all the world’s population, Wikipedia is not just a viable option, but the only viable option” (Cohen 2013). In this paper, the assignment will be discussed as well as the advantages and challenges of using Wikipedia in the classroom. Vosen Callens, M. (2016). Using Wikipedia to Teach Discipline Specific Writing. 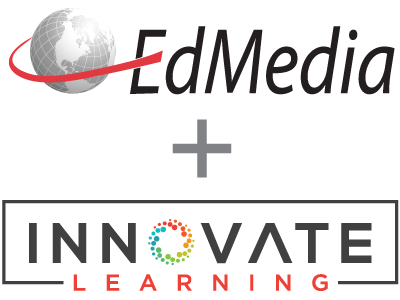 In Proceedings of EdMedia 2016--World Conference on Educational Media and Technology (pp. 1299-1303). Vancouver, BC, Canada: Association for the Advancement of Computing in Education (AACE). Retrieved April 25, 2019 from https://www.learntechlib.org/primary/p/173122/. Hughes, B., Joshi, I., Lemonde, H., & Wareham, J. (2009). Junior physician's use of Web 2.0 for information seeking and medical education: A qualitative study. International journal of medical informatics, 78(10), 645-655. Tunick, R.A., & Brand, S.R. (2015). Social media and healthcare. In L.S. Wiener, M. Pao, A.E. Kazak, M.J. Kupst, & A.F. Patenaude (Eds. ), Pediatric psychooncology: A quick reference on the psychosocial dimensions of cancer symptom Management, 345-357.